Computer Science Education Week kicks off today—and it’s a great opportunity for educators around the world to introduce their students to coding. I know, learning to code can sound intimidating, but it only takes an hour to try it out. As a part of Hour of Code, educators can bring our new CS First activity, “An Unusual Discovery,” to their classrooms as an easy first step into the world of coding. In the activity, students create unique stories about a newly discovered object, like sneakers or even a rocket, with code. As a founding partner of CSEdWeek in 2009, this is one of our favorite weeks of the year. But computer science is important all year long; we encourage diverse students to try computer science with ongoing programs, including Made with Code, Grasshopper coding app and Applied Computing series. We’ve also given more than $60 million in Google.org grants since 2013 to support computer science education through nonprofits like 4-H, code.org and Scratch. Adam: Hi Denese, for starters, what’s your background in teaching computer science? Denese: I actually don't have any formal experience teaching computer science. My teaching background is special education and I've worked in a school library the past ten years. And now you're using the library to help kids learn to code. Can you tell us more about that? Libraries are a lot different than they used to be. They’ve always been a place for people to explore new ideas and learn new things. Many libraries have incorporated makerspaces as an opportunity to learn new skills through creation. I turned our makerspace into a place where kids can learn how to code. So, how have you integrated “An Unusual Discovery” into your library? Anytime I can connect new technology with storytelling, it's a win and that is just what this CS First activity does. We had been reading a story about penguins so I challenged these students to retell part of the story using CS First. It was super creative. That’s awesome! What did the kids think of the project? Our third graders were engaged during the activity and loved being able to customize their stories using different backgrounds, sprites and dialogue. As a librarian, I loved showing the students how coding is a form of storytelling. The coding site was easy to get to and easy for the students to navigate. Why do you think students should learn to code? It’s the language of the future. So many jobs today involve coding and computer programming, not just jobs in the computer science field. More importantly, coding encourages students to learn lots of valuable skills—so while they're learning to code, they're also becoming better critical thinkers and communicators. One last question. What would you tell educators who want to try out “An Unusual Discovery” during CSEdWeek? You don't need to know how to code in order to share this project with your students. Most students pick it up quickly and the introductory video teaches them the basics. The best part is actually watching the students helping each other out along the way, and showing off what they built. The excitement is contagious. Denese and other educators and library professionals are preparing for CSEdWeek, and we’re committed to supporting the work they do. 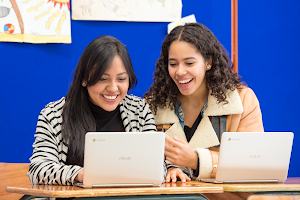 Over the course of this week, 250 libraries will teach coding activities with support from Grow with Google, as part of our broader commitment to enhance the role libraries play as digital community centers. 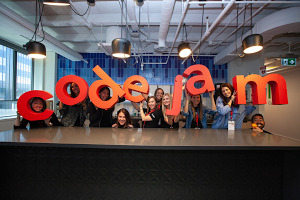 We are excited to see students engage in an Hour of Code in Illinois and around the country! If you're an educator, you can give the new CS First activity a try today and let us (@Googleforeducation) know how it goes on Twitter.